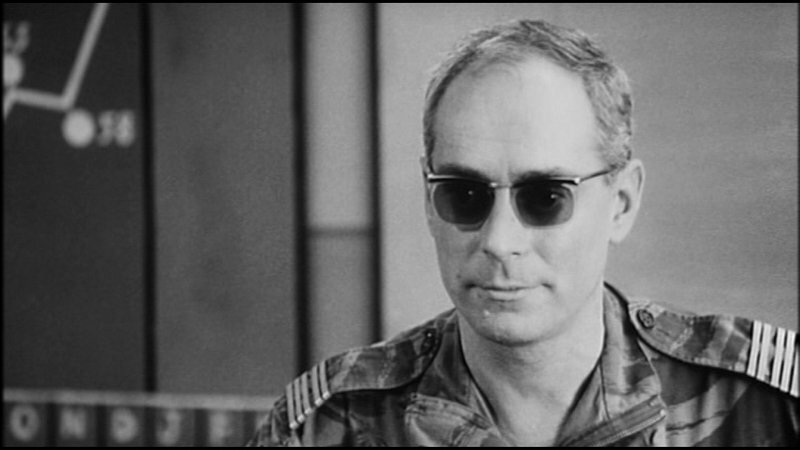 In so many ways Colonel Mathieu, the paratrooper commander, is the central figure of the film, the 'Battle of Algiers'. Anti-Nazi Resistance veteran, humanist, respectful of his adversaries: Mathieu ensures that the film is never one-sided. It is complex and multi-layered because his character encapsulates the French perspective. Through him we understand the logic of colonial repression. We grasp the spiral of Algerian and French violence and counter-violence that is at the heart of the film. The part is played brilliantly by Jean Martin, the only professional actor in the film. Born in 1922 in the Berry region in central France, Martin was a French Resistance veteran who was well known for his anti-militarist, leftist views. Already by the mid-1960s he was an acclaimed stage actor who had made his reputation playing Samuel Beckett. In January 1953, in a tiny theatre on the Left-Bank of Paris he was in the first adaptation of Waiting for Godot, winning superb reviews for his rendition of Lucky. From then on he was a rising star, combining regular appearances at the People’s National Theatre in Paris with film parts, including Jacques Rivette’s 1960 feature Paris Belongs to Us. However, in September 1960 Martin was a signatory of the Manifesto of 121. The Manifesto denounced the Algerian War, called on young French men to desert and expressing solidarity with the small group of French people who were about to go on trial for underground opposition to the Algerian War. The Manifesto’s intention was to provoke an international outcry and it duly did because so many the 121 signatories were amongst France’s most prominent figures, including the philosophers Simone de Beauvoir and Jean Paul Sartre, the surrealist André Breton and the actor Simone Signoret. To sign was a courageous rejection of the Algerian War but in Martin’s case it had immediate consequences for his career. He was black listed and, even after Algerian independence in July 1962, he found it very difficult to find work in film, television or theatre. It was in this context that Gillo Pontecorvo approached Martin. Pontecorvo was clear that, unlike the other roles, for Mathieu he needed a professional actor. But neither did Pontecorvo want an established film star because this would undermine the film’s realism. What led him to Martin was the fact that he was primarily a theatre actor, little known to film audiences. Having seen him on stage, Pontecorvo admired his acting style. Equally he identified with Martin’s anti-colonial politics which he knew would bring an added dimension to the film. Pontecorvo travelled to Paris to audition Martin. They met in a bar in the rue de Varennes. Pontecorvo asked him to go into the toilet and don a paratrooper uniform, much to the astonishment of the clientele. Then in the street Pontecorvo took some photographs. One week later Martin got the part. Martin was chosen by Pontecorvo and the film’s producer Saadi Yacef because the actor exuded gravitas. They knew that, given his training and stage experience, Martin would be at ease with the long scenes. They knew that he would have the authority to deliver Mathieu’s dialogue in a subtle and nuanced manner. At the same time Jean Martin had considerable input in moulding the character. Martin was clear that he wanted to show the French side. Like Pontecorvo he did not want the Battle of Algiers to become an anti-French polemic and the end result is the all the more powerful because of that balance. By the end of the film we understand both Ali la Pointe and Colonel Mathieu, even if the message of the film is anti-imperialist. Yet, the collaboration between the two was not always easy. There were moments of tension on set. Martin found it hard to work with non-professional actors. Similarly Pontecorvo pushed Martin to the limit. Often there were numerous shots, sometimes as many as 100, because Pontecorvo deliberately wanted Martin to look exhausted for the final take. Mathieu briefly appears at the beginning of the film. He enters the scene of the interrogation of the Algerian prisoner who has given away Ali la Pointe’s hiding place. But there is no hint of Mathieu’s importance. We do not see him again until almost half way through the film when Mathieu marches through Algiers at the head of a military cortege of three hundred paratroopers. It is a dramatic entry. He has been called in to restore law and order and to the sound of military drum beat a voice-over summarises his military career to date. Veteran of the anti-Nazi Resistance, the D-Day Landings, the anti-colonial wars in Madagascar and Indochina, he has already fought in Algeria and was most recently in the autumn 1956 Suez Campaign. He cuts an impressive figure. Muscular, slim and athletic with trademark dark glasses, here is a battle hardened commander who has the respect of his men. Indeed during the shooting of this scene, Pontecorvo stuffed handkerchiefs into the actor’s shirt sleeves to bulk his biceps. His intention: to give Mathieu what he saw as the true physical stature of a paratrooper commander. Matheiu’s presence brings a real sense of urgency to the film. This is a new stage because the FLN are now up against the paratroopers who have been given the task of eradicating Algerian terrorism by any means necessary. Throughout the rest of the film Pontecorvo gives Mathieu the space to express his views. What we see is a three dimensional character who is eloquent and thoughtful in his actions. So, it is Mathieu who outlines with a blackboard the pyramid system by which the FLN operates as a clandestine organisation. After twenty-four hours, he explains, their information will be useless. This is why torture is necessary. No, but I like him even less as a foe. Is it legal to set off bombs in public places?... No, gentlemen, believe me. It is a vicious circle. We could talk for hours to no avail because that is not the problem. The problem is this: the FLN want to throw us out of Algeria and we want to stay. He underlines that there was a political consensus, from right to left, in support of destroying the FLN rebellion. We are here for that reason alone. We are neither madmen nor sadists. Those who call us fascists forget the role many of us played in the Resistance. Those who call us Nazis don’t know that some of us survived Dachau and Buchenwald. We are soldiers. Our duty is to win. Therefore to be precise, it is my turn to ask a question. Should France stay in Algeria? If your answer is still yes, then you must accept all the consequences. The film then cuts to torture scenes of Algerian prisoners, some being beaten and strung from the ceiling, some having their heads shoved under water, while others are being subjected to electric shock treatment. It is a shocking moment and all the more so because Mathieu has given a logical defence of why this torture is necessary. In total Martin appeared in more than eighty films. One further high point was his role in the 1973 film The Day of the Jackal where he played one of the renegade army officers plotting the assassination of de Gaulle as revenge for the betrayal of French Algeria. Another, in the same year, was his role as a villain in the comedy spaghetti western My Name is Nobody. He also continued to act both on stage and in television. At the time of his death from cancer in 2009 he was writing a biography of Beckett; a career of many parts, even if it is as Colonel Mathieu that he will be forever remembered – one of the most remarkable on-screen roles in film history.